There are some war heroes, from the Civil War and the Texas War for Independence buried here, but their stones were the least interesting to me. Other people have documented those graves online, and you can see all the photos I took that day here on my Flickr account. I tend to be interested in visually interesting graves or when I find same-name clusters. 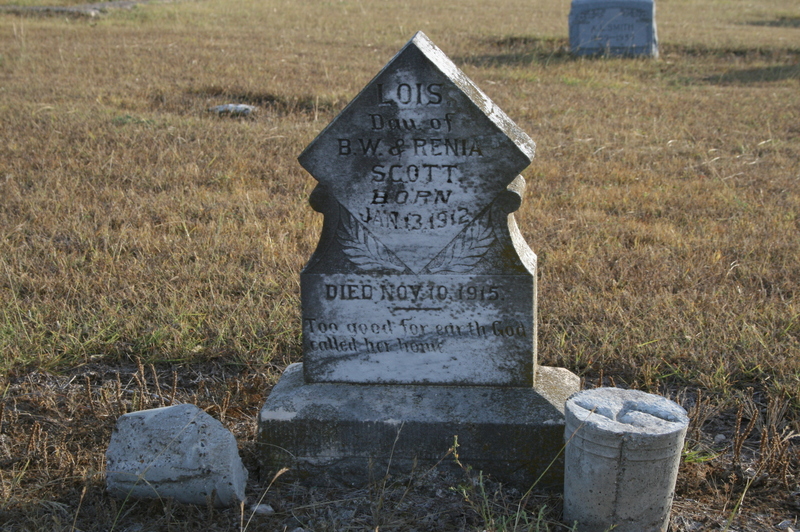 That happened enough in Corn Hill for me to consider it a pretty cemetery in spite of how exposed and brown it appears. This is my favorite stone I photographed that day. This is so beautiful. Two hands shaking indicate marriage if the hands clearly are those of a woman and a man, as you see in this stone. 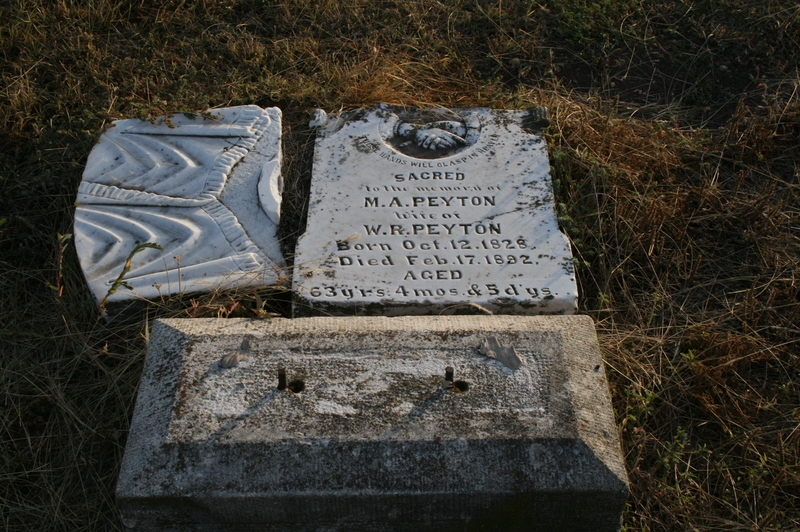 The stone broke in half and the part of the stone to the left is a pall, the pall of death. So the representation of death broke away, leaving only the clasped hands of the couple. 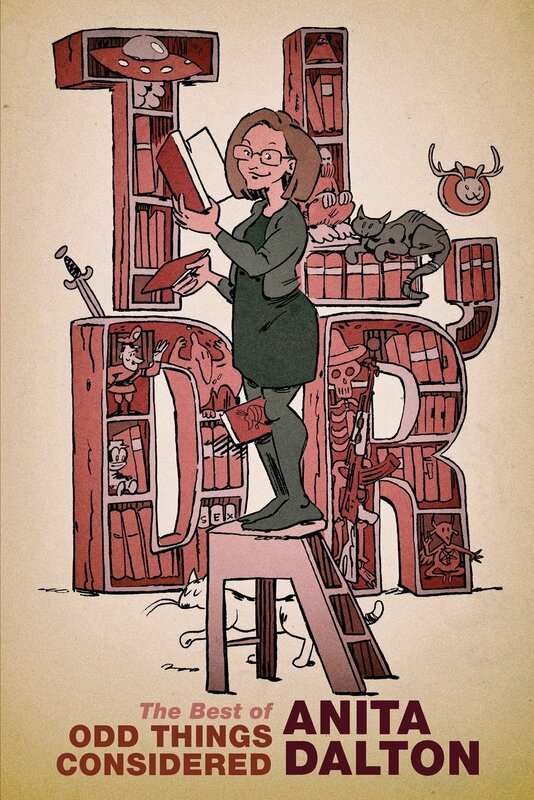 I really like this image. I love Mr. Ramon’s stone. His family visit him frequently and have set up a little shrine to the side. 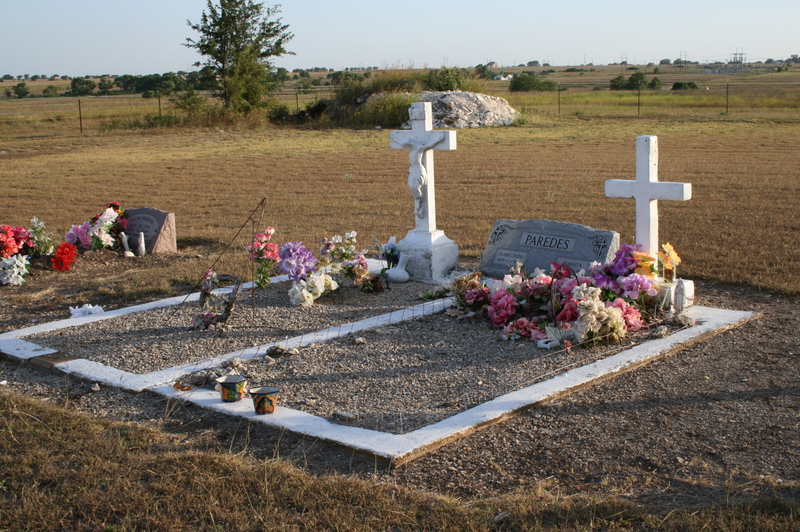 I still do not know why shells are left on Catholic graves in Texas, and neither do experts on Texas graves. But It’s clearly a sign of respect and the way they are lined up on his stone make me wonder if they are a mark of respect given to military graves. You see coins and stones left on military graves in a similar set up. 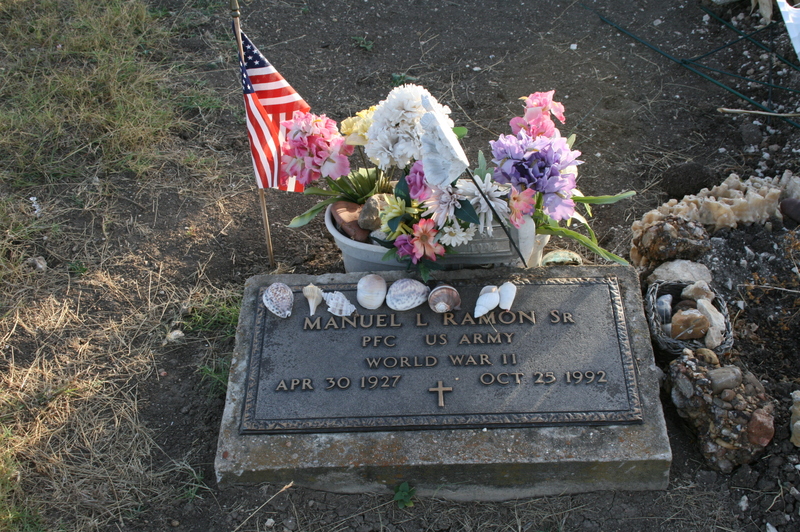 Here’s the shrine next to Manuel Ramon’s military grave. Interestingly it stands between his military grave and family grave. In the upper right of this picture you can see a Cadillac emblem on a modern tombstone. 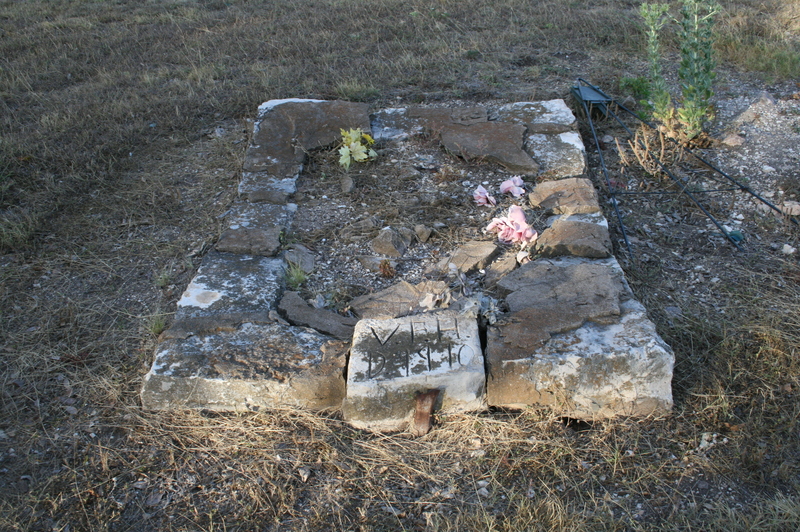 That is Manuel’s side of a shared stone with his wife Elena, who was still living when I took these photos. I really love these adorned graves. A basket of shells, pictures of Christ, a cross, doves, gravestone with a Caddy emblem – Mr Ramon was a religious man who clearly liked his cars. 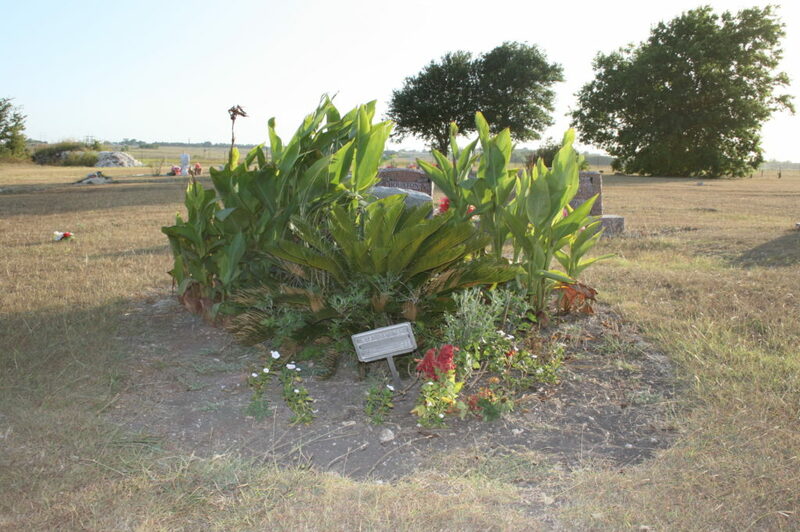 The Paredes family graves are also very adorned. 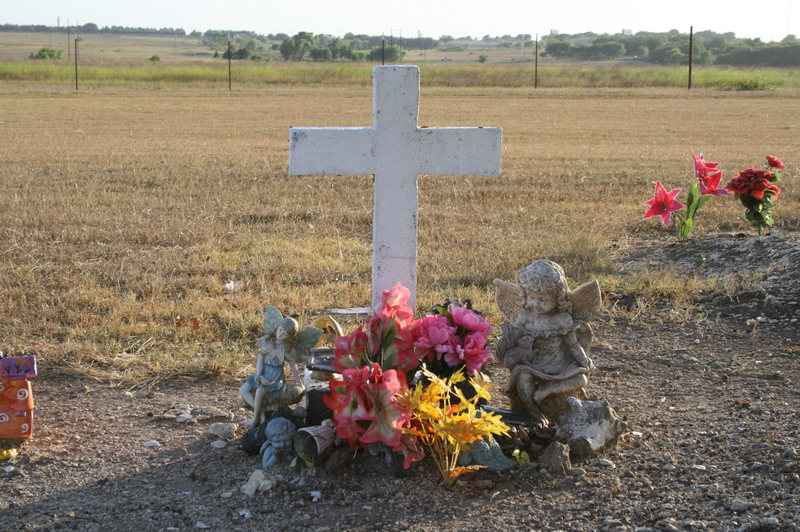 In a mixed-faith cemetery, Catholic Hispanic graves are generally a lot more visually interesting than Protestant graves. The greenest grave in Corn Hill. No idea who is buried here but someone who loved this person still visits and adorns this cross with silk flowers and angels. There were no names visible on these concrete crosses, some of which are clearly falling apart. 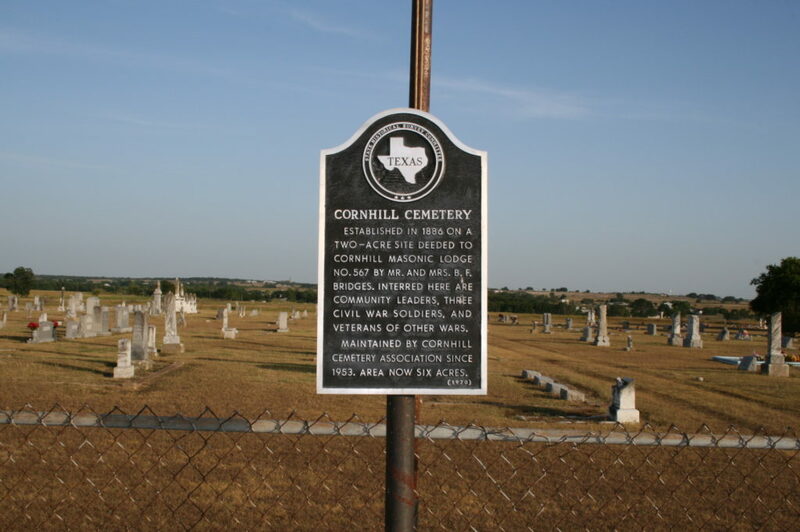 There are a lot of children buried in Corn Hill, but unlike many cemeteries, there is no real “baby land” where babies and small children are buried apart from adults. I find this both comforting and a little upsetting, as I will show in a moment. 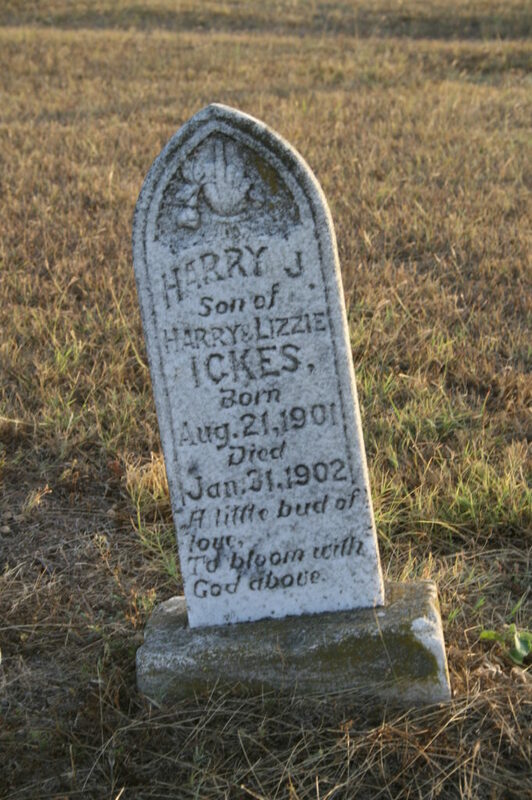 Here’s the joined stone for Harry and Elizabeth Ickes, a married with more than twenty years between their death dates. 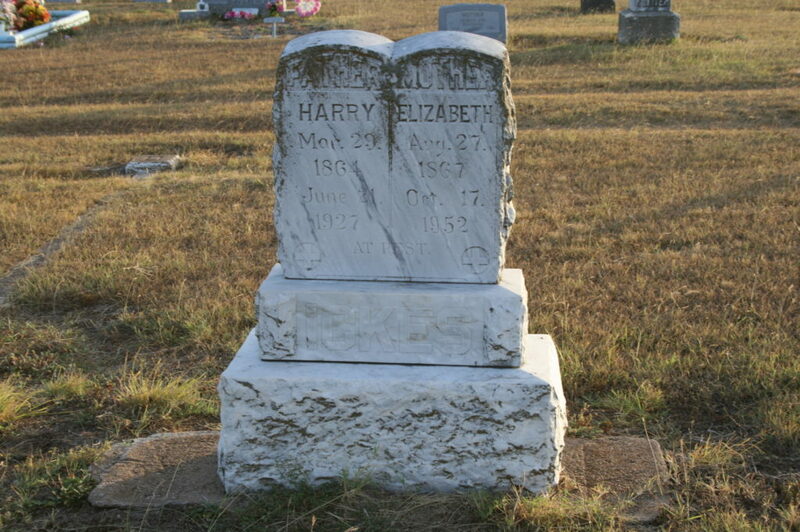 Next to Harry and Elizabeth is their son Harry, who died before he was six months old. His stone is an interesting departure from the doves and lambs one commonly sees on the gravestones of the young. 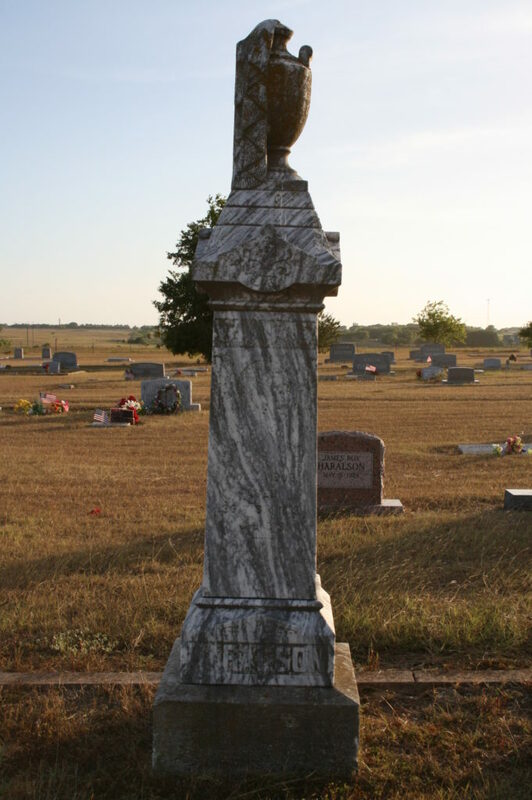 His stone features a hand pointing to heaven, implying the deceased ascended directly to God, That hand is also clasping a rosebud, a flower that died before it achieved full bloom. I like that little Harry is near his parents. Then you have stones like little Maggie Johnson’s. She’s dwarfed among the adult dead and there is something so desolate about her grave. Lois’ stone is interesting visually. You don’t see a lot of shapes like this in central Texas, a square diamond atop a scrolled base, with palm fronds along the bottom. Her stone says, “Too good for earth God called her home”. 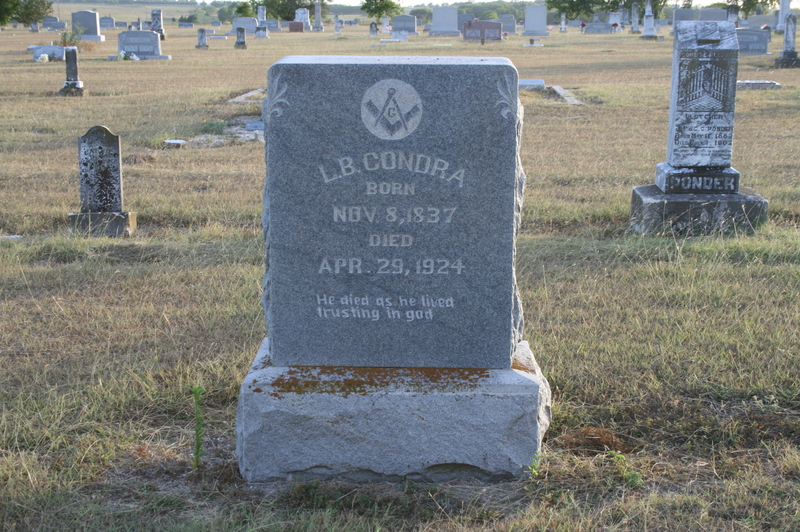 Mr. Condra has a simple but striking stone. 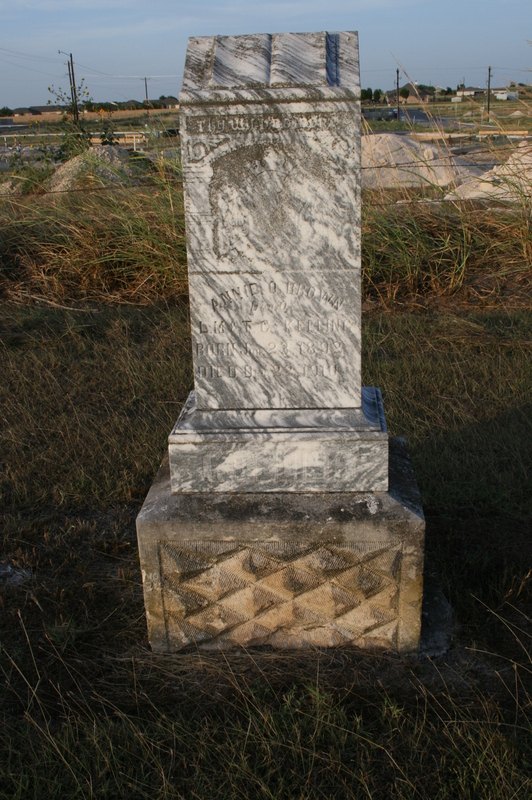 Palm fronds along the side, with his Masonic symbol at the top. Also note the child’s stone to the left and how… wrong it looks. Lambs are common statuary for dead children. 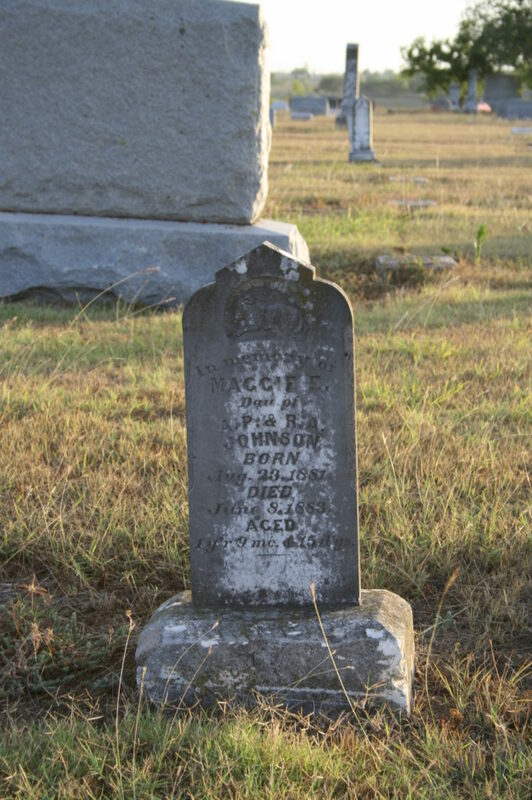 Agnes White’s stone is made all the more interesting because of her name. 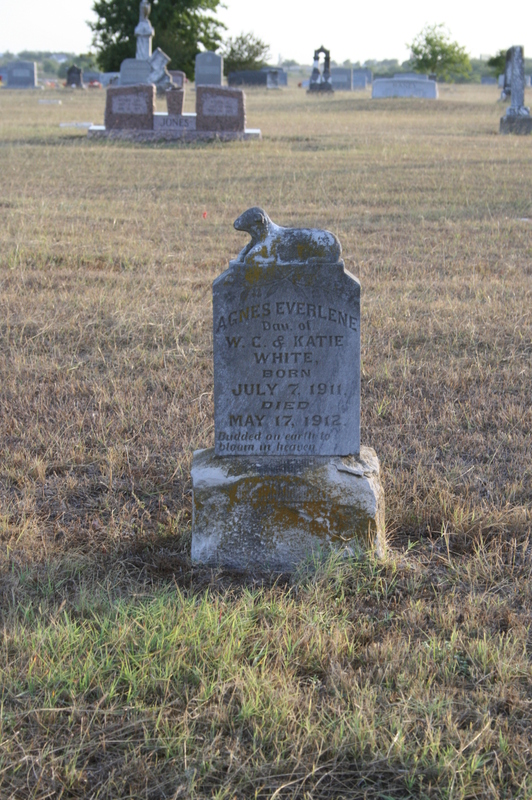 Agnes means “lamb of god” and her last name is why lambs are used to represent children – their wool is pure and white. She also looks lost among the adult graves. 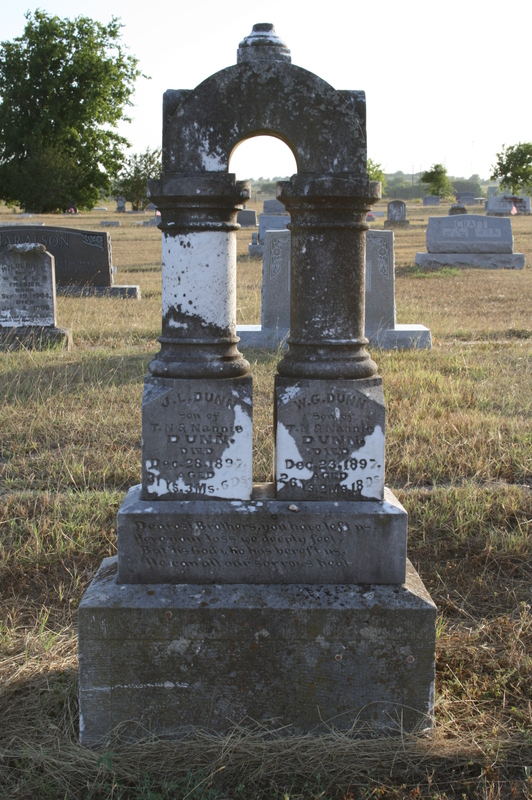 This is one of the first stones I saw in central Texas that boasted an urn atop a small obelisk. The urn also features a pall draped over it. Heavy death imagery even for a place where we honor the dead. 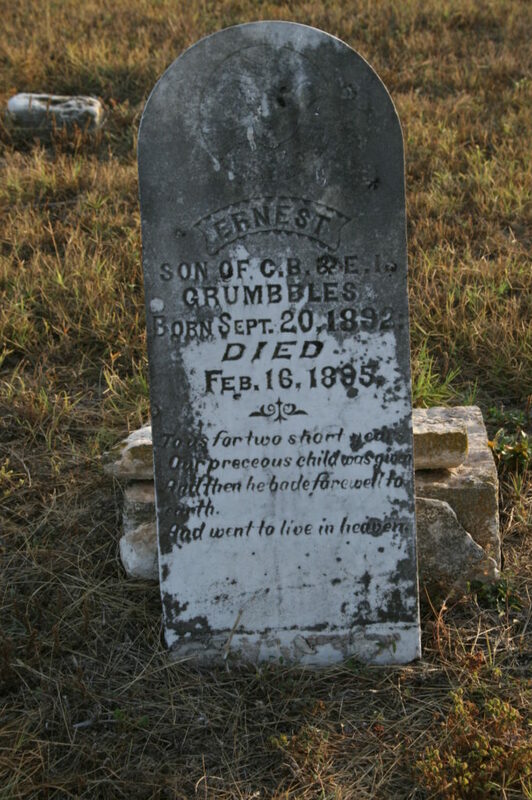 Ernest also had an amazing name, though his name is misspelled on his stone. There are about a dozen “Grumbles” around him and he is the only one with this spelling. He and I also share a birthday. 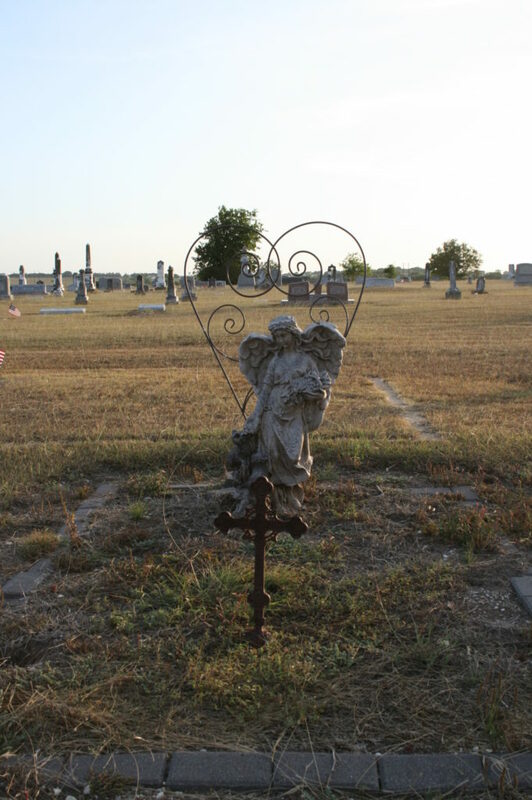 At the top of his grave is a dove, a Christian symbol of purity, and his inscription reads, “To us for two short years our preceous (sic) child was given. And then he bade farewell to earth and went to live in heaven.” It’s hard to see in scale in the photo, but this is a tiny little stone. Annie Keeling Brown has a fascinating stone. It was oriented east to west, which was odd. 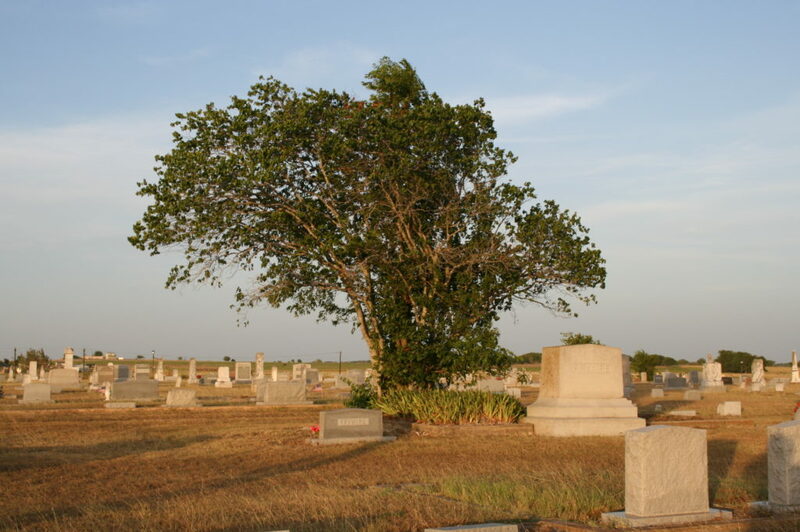 In Christian graves, graves are oriented with the deceased facing the East. It’s almost an insult to bury them facing West, implying the deceased will not be saved after death. It was also the most ornate stone out in the cemetery, despite the weathering. It starts with an open Holy Bible, which is a statement of faith. Under that is the phrase, “Thy Will Be Done.” Under that is a gate opening up to a crown, a Christian idea of the path that leads from this life to the King in heaven. The pedestal has a diamond pattern in the concrete. One gets the feeling Annie’s parents put a lot of sentiment and sorrow into this stone. She was only 17 when she died. Texas summer is harsh and it’s remarkable to me how few stones end up like this. 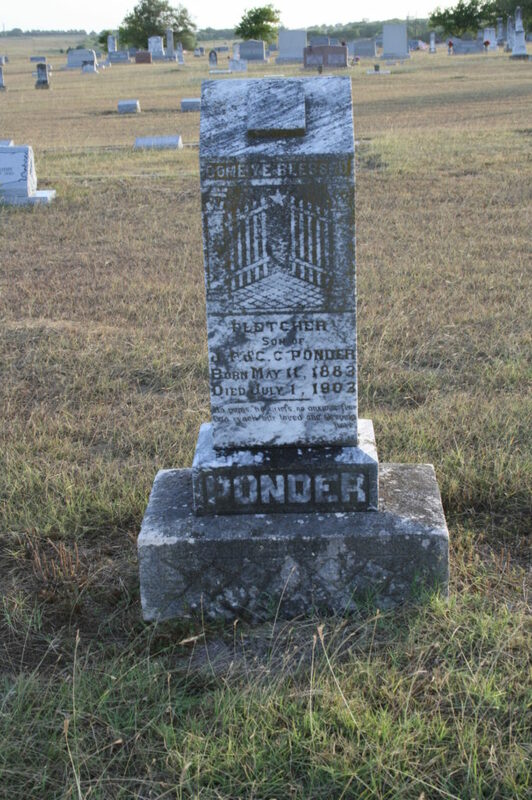 The concrete divider is beat up and cracked and I suspect there was once a tombstone that got lost because the carving in the stone at the foot is kind of sharp for a grave that overall appears so eroded. The size makes me think this is a child’s grave. The top line appears to be “V. F. H.” The bottom appears to be “D 1910.” I spent some time online trying very hard to determine who VFH was to no avail – this is all that is left of the memory of this child. I took far more photos than the ones I present here. 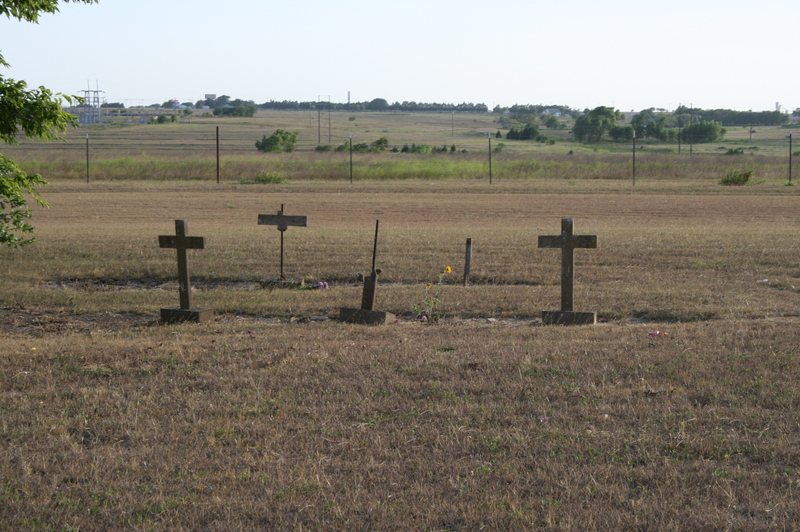 You can see all of them, including several graves of veterans of the Civil War and the War for Texas Independence, at my Flickr account. You’ll also see lots and lots of dead children. Grave for grave this cemetery had the most children of any I have encountered. I cannot find where I saved the research but there were three major illness outbreaks that correspond with clusters of the dates many of the babies (and even adults) died. Texas was a rough place back then. Cemeteries like this never measure up visually with some of the more interesting New England cemeteries, and definitely pale in comparison to most European cemeteries. But cemeteries like this preserve history for a while, showing us little dramas (if you find BF Bridges in my photos, his wife in Arkansas divorced him because she was for the Union and he fought for the Confederacy), the differences between burial customs among religious groups, and you can even track down cholera epidemics. If any of these stones speak to you, let me know! 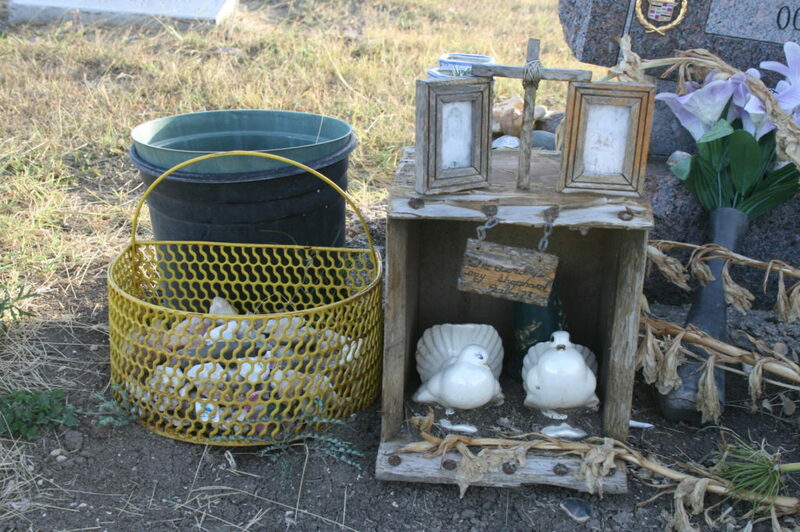 I’m wondering about the sea shells too… I think I remember them being a symbol of the Virgin Mary. If that is true then it might make sense to leave them on a grave — so Mary can watch over and keep the deceased.